For José Luiz Passos, winning two of the most prestigious literary awards in Brazil is only the beginning of a long journey to find an American publisher. International Institute, January 16, 2014 — José Luiz Passos (“Zé” to his friends and students) is one of the rising new stars of Brazilian literature. A professor of Luso-Brazilian literatures and cultures at UCLA, Passos has published two novels in Portuguese with one of the top publishers in Latin America, Alfaguara. Headquartered in Spain, Alfaguara is a global publisher that specifically focuses on Latin American writers. 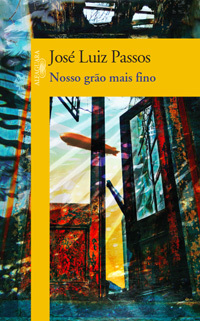 His first novel, “Nosso grão mais fino” (Our Finer Grain), was published in Brazil in 2009. Already known in his homeland as a literary scholar (he has published two books of literary criticism, with a third due out soon), the book won Passos recognition as a serious fiction writer in Brazil for the first time. It was well-reviewed by Brazilian literary critics — many of whom are contemporary Brazilian authors — and established him as an important member of the country’s younger generation of writers. 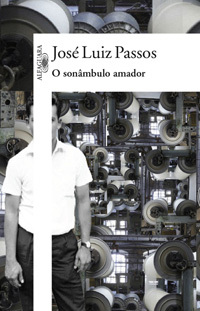 Passos’ second novel, “O sonâmbulo amador” (The Amateur Sleepwalker), was published in Brazil in October 2012 to universal critical acclaim. The novel was, for example, immediately included in the “best books of 2012” listings of all the major Brazilian newspapers. Passos spent 2013 speaking by invitation at literary festivals and book fairs throughout Brazil, including the country’s oldest international book festival, FLIP (Festa Literária Internacional de Paraty). With “O sonâmbulo amador” shortlisted for the two most prestigious literary awards in the country — the São Paulo and the Portugal Telecom (PT) prizes for literature — he also gave scores of print and television interviews in his native country. 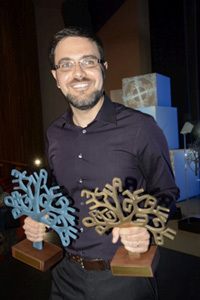 The busy year closed with Passos winning the PT Prize for Best Novel of 2013 and the PT Grand Prize (i.e., best book of the year) in December, selected as the best work among the winners of the novel, short story and poetry prizes. Modeled after the French Prix Goncourt and the Man Booker Prize of Great Britain, the Portugal Telecom Prize for Literature is one of the most recognized literary awards in the Portuguese-speaking world, which includes Brazil, Portugal and Portuguese-speaking Africa (known as Lusophone Africa). The two awards have won Passos recognition as a serious novelist, both in Brazil and among his academic colleagues in Brazil and the United States. And it landed him a contract with the largest and most important international literary agency in the world for Portuguese-language authors, Mertin. Based in Frankfurt, the well-known agency represents the rights to the works of Nobel-prize-winning author José Saramago (1922–2010). Fellow Brazilian author Ricardo Lísias has described Passo’s novels as “high-impact texts — as well as being the best pieces of work that have been published in the new Brazil” (Granta, December 5, 2012). Yet despite all the critical acclaim in Brazil, Passos’ two novels remain unpublished in English and may remain so until his work is translated into a language other than English, which frequently opens the door to the U.S. market for foreign-language writers. Passos says he is attracted to the subject of memory for two reasons: one familial and one personal. “I was born in a small sugarcane factory town [Catende, state of Pernambuco ],” he explains, “where my grandfather was a sugar chemist, trained at Louisiana State University in the 1920s. “Growing up in rural or semi-rural Brazil . . . I was always surrounded by this deep sense of nostalgia — a sense of grandeur, a past that [comprised] the ‘golden years’ of Brazilian sugar,” recounts Passos. “Anywhere I turned, people were telling me stories about the connection between the American Deep South, the greater Caribbean and the Brazilian Northeast, and about the great industry and the feuds and the sugarcane fields. “That's the family reason why memory and the past matter so much to me. And then there's the personal reason, which is I left Brazil. So the Brazil that I carry with me is a picture that comes from my childhood. Set at the end of the 1960s, “O sonâmbulo amador” (The Amateur Sleepwalker) tells the story of a textile factory worker who, soon to retire, travels to another city to give a deposition on a labor incident. Yet on his way there, he switches sides and sets his car on fire. He is then committed to a psychiatric hospital. The man’s story is told through the notebook of dreams he writes while in the hospital, allowing the reader to experience the protagonist’s discovery of his inner life, his personal narrative — previously unknown to him — and his realization that the life he has lived and the values he has supported are not really his. The idea for the novel came to Passos when he took a car trip in Brazil, travelling south from Recife to a city two states south of Pernambuco. On the way, he stopped in the town where he was born, which he left when he was three years old, and took a tour of the factory where his grandfather had worked. Once the biggest sugar factory in Brazil, the enterprise was now bankrupt and in decay, although still in operation. The writer took a tour given by someone whose father had known his grandfather, saw the machinery — still in operation — installed by his grandfather in 1936, and even met the doctor who had delivered him! Around the same time, Passos was dealing with the death of his father, with whom he had been very close. At one point, he discovered several notebooks written by his father in a trunk that he had not previously had the courage to open. Written in three different languages, the notebooks were a mixture of daily diary entries and detailed accounts of his father’s dreams, written while he was being treated in a Swiss psychiatric hospital before Passos was born. Although the diaries gave Passos the structure for the novel, The Amateur Sleepwalker doesn’t tell the story of his father, but that of someone who stayed behind and remained attached to the decaying sugarcane industrial complex in the northeast. “Remains of the Day,” the novel of Kazuo Ishiguro, was another influence on the novel. Made famous by the film starring Anthony Hopkins and Emma Thompson, Passos notes that the novel tells the story of a butler dedicated to the gentleman he serves, but utterly blind to his own feelings for another servant in the household, as well as the political machinations occurring behind the scenes. “It was hard to get my first contract in Brazil because I've been living here [in the United States] for 18 years, so in a way I was, up until very recently, invisible in the literary market in Brazil,” says Passos. A complicating factor was that the author was already known as a scholar, having published works there on Mário de Andrade (1998) and Machado de Assis (2007), respectively. Alfaguara will publish a second, expanded edition of Passos’ main scholarly work, which examines Machado’s relationship with Shakespeare (“Romance com pessoas: A imaginação em Machado de Assis,” or “Novels with Persons: Imagination in Machado de Assis"), in Brazil in April of this year. So Passos was patient. Rather than publish his first novel with a small press and risk the novel disappearing from view, he waited for a contract with a publisher that would provide the book real marketing support. That patience took time, but it paid off, leading to his current contract with Alfaguara. It takes him roughly five to six years to write a novel — while simultaneously teaching courses and publishing scholarly books and articles — and then a couple more years to get it published. 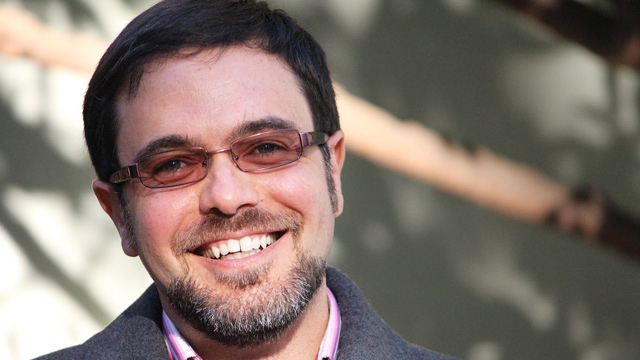 For someone who has been living in the United States for almost two decades, Passos finds it hard to answer “no” when colleagues and friends ask if his novels are available in translation. “They don’t understand that it’s easier for me to write five other novels and get them published in Portuguese than getting any one of my novels published in English here,” he observes ruefully. The problem, he explains, is that works translated from foreign languages make up just three percent of the entire volume of books published each year in the United States. That’s not just three percent of all literature, but of all books. Known as the “three percent rule,” the practice represents a formidable barrier to entry for foreign-language authors. To crack the U.S. literary market, Passos is working with his international literary agent to forge contacts with American agents and, hopefully, conclude a contract to publish it in another language. For those of us who would love to read his work in English, one can only hope that his patience is not tested too much longer. See recent interviews with José Luiz Passos in the online publications Jornal i (Portugal) and Saraiva conteúdo (Brazil), as well as a review of "The Amateur Sleepwalker" in Folha de S. Paulo, Brazil's most important newspaper.